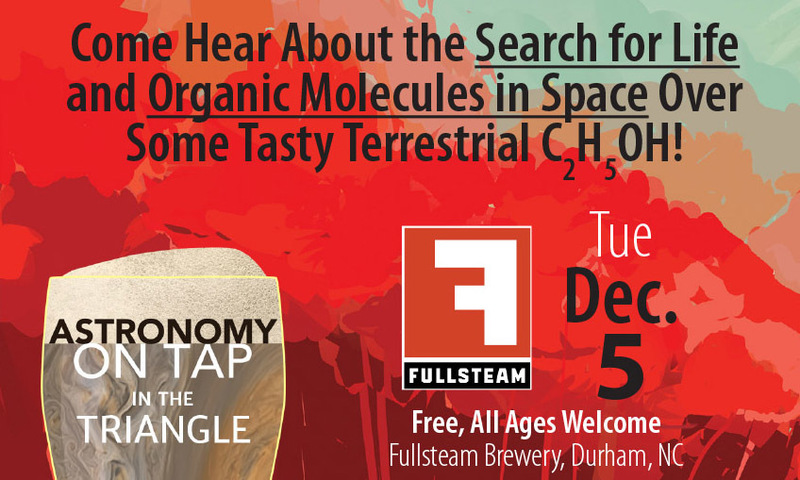 Join us for another Astronomy on Tap Triangle, our North Carolina chapter of short, engaging talks about astronomy over beer. This free, all-ages event on Election Day will be our eleventh! Our FREE Astronomy on Tap events feature accessible, engaging science presentations on topics ranging from planets to black holes to the beginning of the Universe. There is always lots of time to ask questions and interact with the presenters and other scientists who inevitably stick around for the beer -- naturally we suggest Rocket Science.